Every April 1, trucks begin to line up at US Citizenship and Immigration Services facilities to deliver countless pallets loaded with paperwork. It's the start of the annual H-1B petition season when employers submit hundreds of thousands of paper H-1B petitions for foreign workers they want to fill for specialty jobs in the hopes of being selected under the annual visa numerical cap. Since its inception in 1990, the H-1B visa program has allowed US companies to employ foreign workers temporarily in jobs requiring a college degree, such as scientists and engineers but also teachers, nurses and accountants, with Congress establishing an annual cap of 65,000 H-1B visas, plus an annual exemption from the cap for 20,000 foreign workers with a US master's or higher degree. Tens of thousands more foreign workers are eligible for H-1Bs but not subject to the numerical cap if they work at higher education institutions or nonprofits. Over the past several years, however, this process by which petitions are selected for adjudication has proven inefficient, costly and operationally burdensome for both employers and US Citizenship and Immigration Services. And, it's unpredictable for the worker and the US business. The H-1B visa program has exploded in popularity over the years. In each of the last five years, US Citizenship and Immigration Services has received a number of petitions more than double -- and sometimes almost triple -- the number of available cap-subject H-1B visas. When the agency receives more petitions than needed to reach the H-1B cap, a computer-generated lottery randomly selects the petitions. Staff must open each of the hundreds of thousands of packages sent to the agency and input enough information about each petition to run the lottery. In past years, the agency would first randomly select enough petitions to meet the advanced degree exemption and then randomly draw enough petitions from the remaining petitions to meet the regular cap. Unselected H-1B cap-subject petitions would then be rejected. We owe it to the public to administer the H-1B program more efficiently and, to the extent allowed under the law, in a manner increasing the overall merit of the H-1B worker pool. That is why the Department of Homeland Security recently published a regulation making two simple changes that will reduce overall costs for employers, make the program more efficient and cost-effective for US Citizenship and Immigration Services, and increase the chances that these coveted visas go to individuals with an advanced degree from a US institution of higher education. 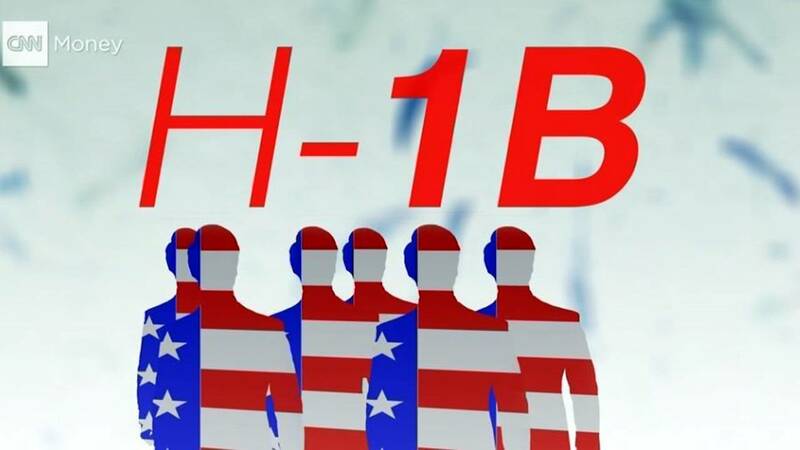 First, the new regulation creates an electronic registration process for the H-1B lottery. Currently, employers devote substantial time, money and resources to completing a full petition for inclusion in the H-1B lottery; if the petition isn't selected, all that time and money is wasted. After the new process is implemented, employers will, instead of a full paper petition, provide only basic information online about their company and each requested foreign worker. The H-1B lottery will then be run only on those electronic registrations, and only those with selected registrations will be eligible to file a full cap-subject petition. In effect, the amount of paperwork and data exchanged will be dramatically reduced and will provide an overall time and cost savings to US Citizenship and Immigration Services and, importantly to petitioning employers. The agency will suspend the electronic registration requirement for the fiscal year 2020 cap season to complete user testing and ensure the system and process are fully functional. When the electronic registration system is ready, US Citizenship and Immigration Services will announce it in the Federal Register ahead of the initial cap season in which it will be used. Second, the regulatory changes will reverse the H-1B cap selection order to increase the likelihood that visas go to those with US advanced degrees. This simple adjustment could increase the number of H-1B visas awarded to beneficiaries with a master's degree or higher from a US institution of higher education by around 5,000. US Citizenship and Immigration Services and the administration are intensely focused on reforming employment-based visa programs so they benefit Americans to the greatest extent possible. As President Donald Trump stated in his 2017 "Buy American and Hire American" executive order, the laws governing the admission of foreign workers should be administered and enforced rigorously to create higher wages and protect employment opportunities for US workers. The President also directed US Citizenship and Immigration Services and other relevant agencies to ensure that H-1B visas are awarded to the most-skilled or highest-paid workers. While a great deal of work remains, we are on the path toward a modernized, more effective and efficient H-1B program based on merit to the maximum degree allowed by law. Our efforts will help ensure that the H-1B program is run more efficiently while also ensuring that US workers are protected as much as possible.